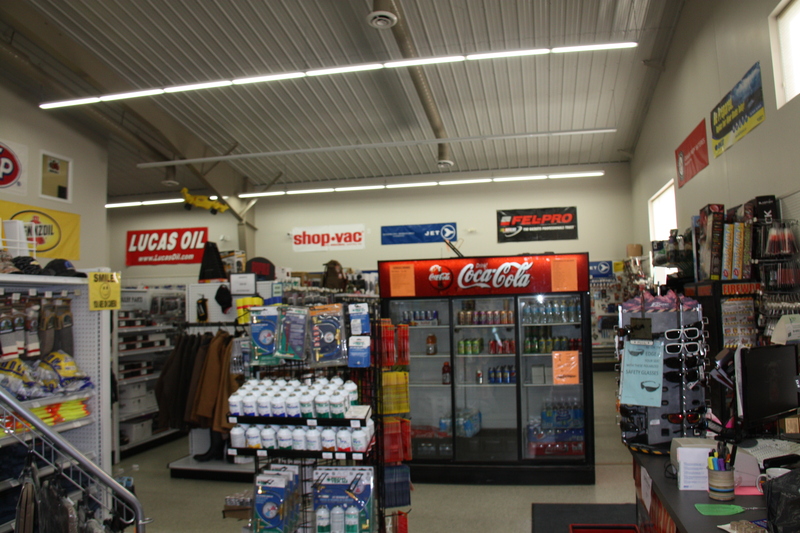 Big Block Auto is an automotive store specializing in parts and accessories, while also carrying a large selection of fishing and household items. 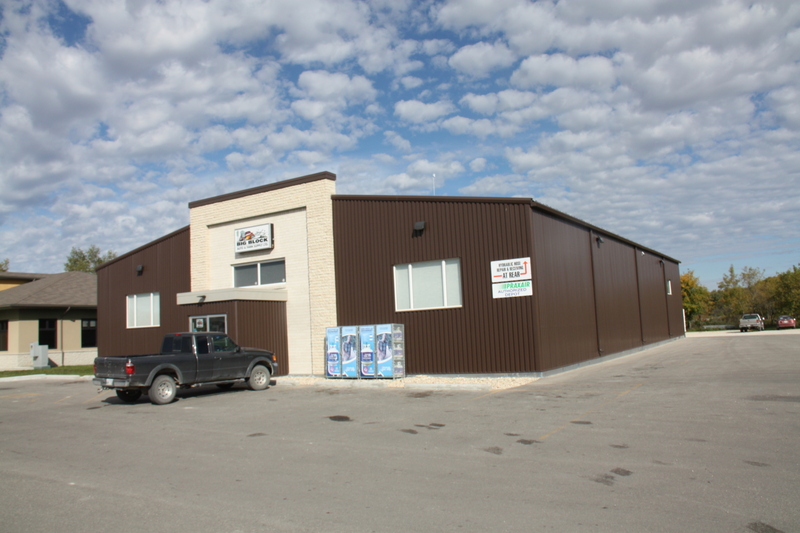 The main floor is 6,464 sq.ft and consists of a retail display area, parts counter and rear warehouse facility. The 16’-0” eave height was ideal for the owner to install aftermarket steel racking creating dual levels of storage. The building was also designed with an office mezzanine and lunchroom overlooking the retail floor/ warehouse below. This allowed the owner to always stay engaged with the operations below. Along with the metal siding on the exterior, we introduced a large tyndall stone feature around the front entrance emphasizing a combination of flat and split faced material.